You are my Sunshine! 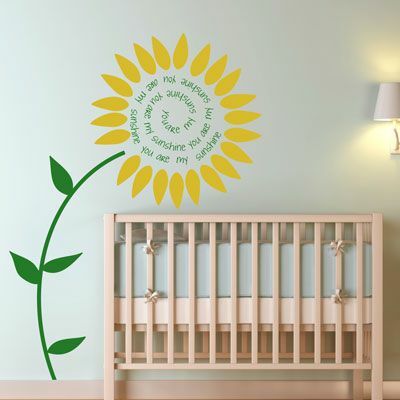 Bring some life to your child's nursery, or playroom with this adorable Sunflower quote wall decal! Our wall decals are ideal for offices, living rooms, entryways, classrooms, even your car or glass shower doors! Decal measures 41 inches wide by 55 inches tall. This quote wall decal comes in sections for easier application. Petals come individually so that you can create your own look! Stem and words will come in one color, and leaves in another. My decal looks so good! it complements my wall and decor so well!! I am incredibly satisfied thanks soooo much!!!! 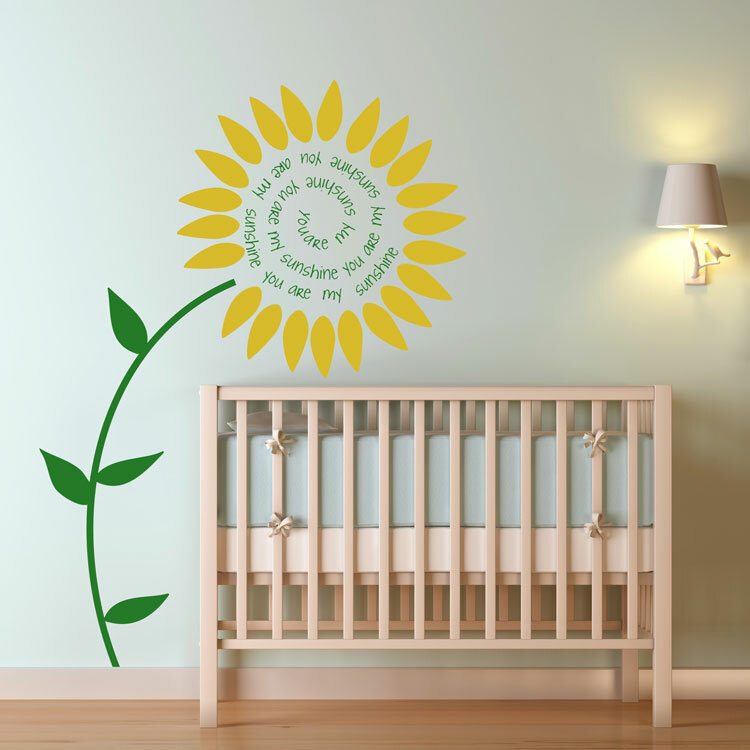 We used the decal in our nursery and it looks beautiful - everyone raves about it and asks me where I got it! Easy to hang - very satisfied with this purchase. Karen, Thank you for all of your help. You are so prompt in your responses. I have 100% confidence in your company bc of your wonderful customer service today! It was a pleasure speaking with you today! I recently purchased and installed the Swirling Tree. I chose dalidecal because they were responsive through the whole ordering process. My tree was nicely packaged and arrived as promised. The product was easy to work with and manuever as long as you did not press too hard when positioning it on the wall. Once it was at the right spot, the flat applicator helped remove any air bubbles. My suggestion is to cut the excess backing off before beginning to overlap any pieces. The final product turned out great. Definitely suggested this company to my family and friends. They will not disappoint you and are willing to help with any questions.